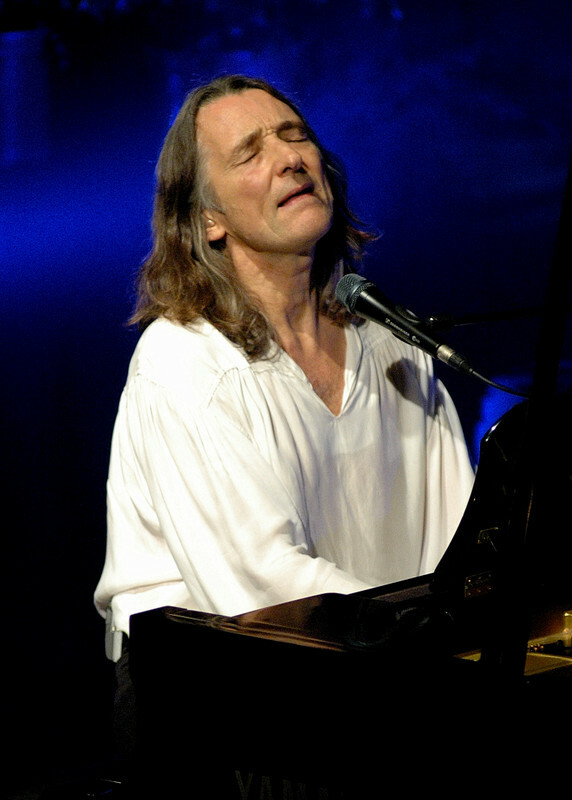 Roger Hodgson is a name that has floated around me my entire life. My older brother was a huge Supertramp fan back when records ruled, and upon the breakup of the band he pledged his allegiance to Hodgson as if he were the American flag. While he sang the man’s praises day in and day out, he also sang the man’s entire catalog around the house when we were growing up. So, seeing Roger Hodgson with my brother in 2012 was like being a kid again, without the "footie" pajamas. In all honesty, I hadn’t heard much about Hodgson until this evening. But, the fact that he sold out three nights at the venue told me that I just hadn’t been paying attention. So, I went into this not knowing what to expect. I did know that Hodgson was the writer of almost every Supertramp hit, and I did know that keyboards, sax, and percussion played an important role in most all of those songs. My questions before the lights went down were this: “What kind of shape is Hodgson’s voice in?” and “Who will he get to play those amazing sax and percussion parts?” It wasn’t long after the lights dimmed that I found the answers I was looking for. The stage set was warm and inviting, with woven rugs under each mic stand and potted trees lining the back of the stage. As Roger and his current lineup emerged from the shadows, the middle aged crowd came to its feet with thunderous applause. As Hodgson addressed the crowd, he did say that it felt like we were in his living room, and I couldn’t agree more. As the opening bars of “Take The Long Way Home” started to play, and the sharp scream of the harmonica part wafted through the theater, we were underway. It was Canadian Aaron McDonald that provided the perfect harmonica part that ushered in the opening lines. “So you think you’re a Romeo, playing a part in a picture show” came to the crowd and was met with another burst of thunderous applause. You could see and feel the satisfaction of every fan in the place. Roger was back and sounding better than ever. As he took a minute to talk to the crowd, he spoke of the Potawatomi people who own the theater and casino, and how impressed he was by their use of profits to help others. 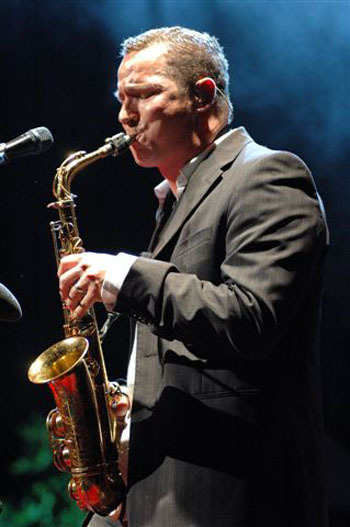 Hodgson has supported many charities through the years, and has acted as a humanitarian as much as a musician. Hearing him speak, it was clear that he was a man with a kind and generous heart, and hearing him sing it was clear that he was a man with a wonderful voice. As Hodgson rolled through all the Supertramp hits like “The Logical Song,” “Breakfast In America,” and “School,” he introduced almost every song with a personal story or experience. His delicate and classy persona seemed to draw the room a little closer, and it ended up feeling like we were all friends. Besides Hodgson’s vocal abilities and brilliant touch on guitar and keys, he brought an extraordinary band with him. I can’t say enough about Aaron McDonald, who was featured throughout the evening. He could be found playing soprano, tenor and alto sax, tin whistle, keyboards, and all kinds of percussion - and let’s not forget that he sang backup as well. This guy is the cream of the crop, and a real asset to this set of songs. Watching him execute perfectly all night long, I really felt like he could be a solo artist himself. As the night continued to roll through almost every facet of Hodgson’s career, he seemed comfortable and completely connected to his audience. Some of the highlights of the set were “Lord Is It Mine,” in which Hodgson moved from the electronic keyboard to a bold and beautiful baby grand piano. The soft, warm tone of the song seemed to echo in the hearts of the capacity crowd. The other great surprise of the night was a rare gem from the hard to find Open The Door CD from 2000. “Along Came Mary” is a light, airy tune that instantly brings a smile to your face, and that’s exactly what it did to his Milwaukee fans. As the set seemingly came to an end with a rousing rendition of “Give A Little Bit,” Hodgson looked to all of his band members and asked them if they had one more song to give, and as they all nodded their approval the opening bars of “It’s Raining Again” poured over the wanton fans. As people were on their feet, dancing and swaying with each other, you could feel the warmth of it all in your heart. It’s a feeling that’s rarely passed from a performer to his audience, but Hodgson delivered in full on this night. Seeing this performance changed my opinion of Roger Hodgson. I came into the show thinking that he was a good songwriter with a nice voice, and I left the Northern Lights Theater with a far greater outlook. He’s actually a great songwriter with an equally great voice, but he is also a gentleman and a humble and thankful humanitarian. And I think that’s where he takes the soul of his music to a whole new level.